Why Won't The Old Caveman Stereotypes For Neanderthals Die? : 13.7: Cosmos And Culture New evidence suggests Neanderthals made cave art — and they may also have created religious rituals. It's time to let go of Neanderthal-human "border policing," says anthropologist Barbara J. King. Picture shows what scientists say are Neanderthal cave-paintings inside the Andalusian cave of Ardales, on March 1, 2018. 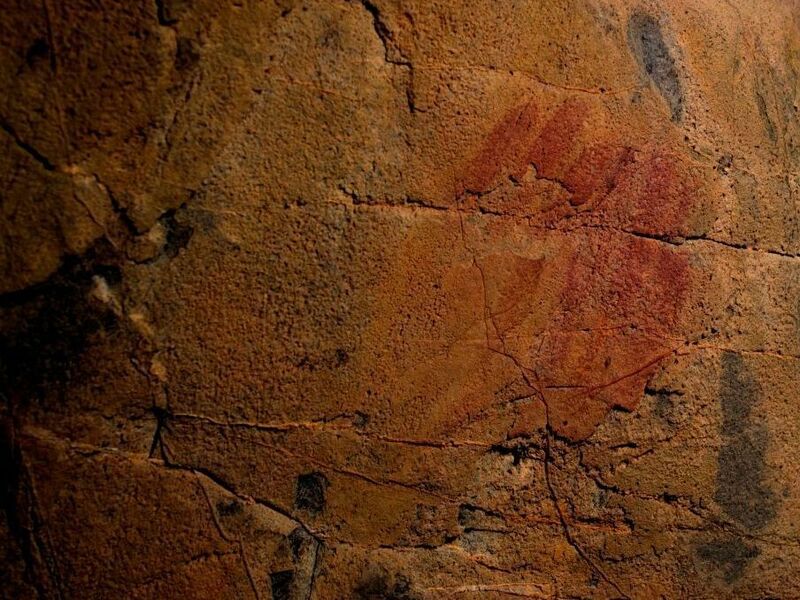 The cave-paintings, found in three caves in Spain, were created between 43,000 and 65,000 years ago, at least 20,000 years before modern humans are believed to have arrived in Europe. "Once upon a time, in the dim recesses of a cave in what is now northern Spain, an artist carefully applied red paint to the cave wall to create a geometric design — a ladder-shaped symbol composed of vertical and horizontal lines. 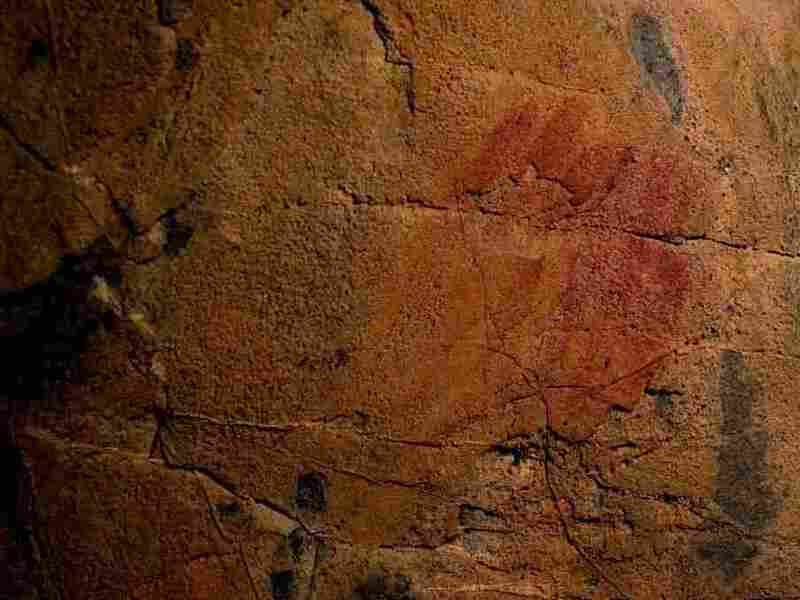 In another cave hundreds of kilometers to the southwest another artist pressed a hand to the wall and blew red paint around the fingers to create a stenciled handprint, working by the flickering firelight of a torch or oil lamp in the otherwise pitch darkness. In a third cave, located in the far south, curtain-like calcite formations were decorated in shades of scarlet." "Because a number of hand stencils seem to have been deliberately placed in relation to natural features in caves rather than randomly created on accessible surfaces, it is difficult to see them as anything but meaningful symbols placed in meaningful places." "...give a range of possible dates, rather than an exact time. And there was certainly overlap between modern humans and Neanderthals in Europe. If new evidence shows that humans actually arrived earlier than scientists now think, well, that's the pattern of science."